An automotive journalist is supposed to test drive cars or ride motorbikes and prepares opinion pieces and reviews for magazines, web sites and television, but what happens when you’ve just spent 2 days on a motorcycle that literally puts the “F” in Freedom. Yes I know what you’re thinking……. any motorcycle will provide you with that feeling, all you need is permission from your wife or girlfriend however the case maybe, a letter of leave from your office or get someone to look after the shop while you’re out, call in the troops to see if anyone’s willing to travel, map your route, prepare a checklist of items for the road trip, grab a helmet, some leg, back, shoulder and back protection, decent gloves, and if you have any energy left, throw in some attitude. Once done, swing that leg over and you’re all set to ride. With the motorcycle that I was about to review all you needed to do was walk out of the door in a state of trance while the voices behind you keep calling your name, thumb the starter and hit the road. This was pretty much the case back in the 70’s when the air was full of rebellious attitude…….there was NO young or old. Only one manufacturer offers you the opportunity to relive that period and ride carefree. 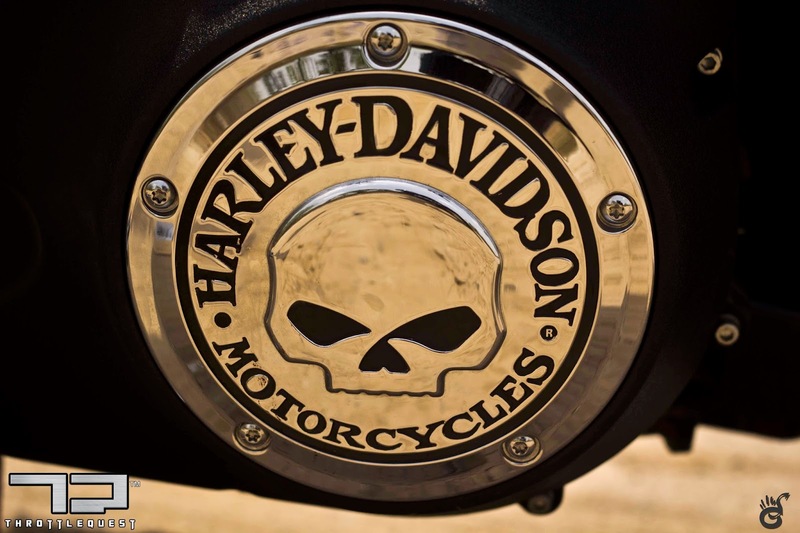 I am referring to none other than Harley-Davidson and from the Dyna series, the Street Bob, the only bike that still carriers the iconic styling from the 70’s. I have ridden a few Harleys but I have been the most excited about the Street Bob ever since I first saw it post the manufacturers venture into India. Back in the day, most of the Harley’s you saw in movies or on TV came stock or were customized with ape hangers, a type of handle bar that rose a couple of inches, so you would have to reach out and grab them above the level of your heart. 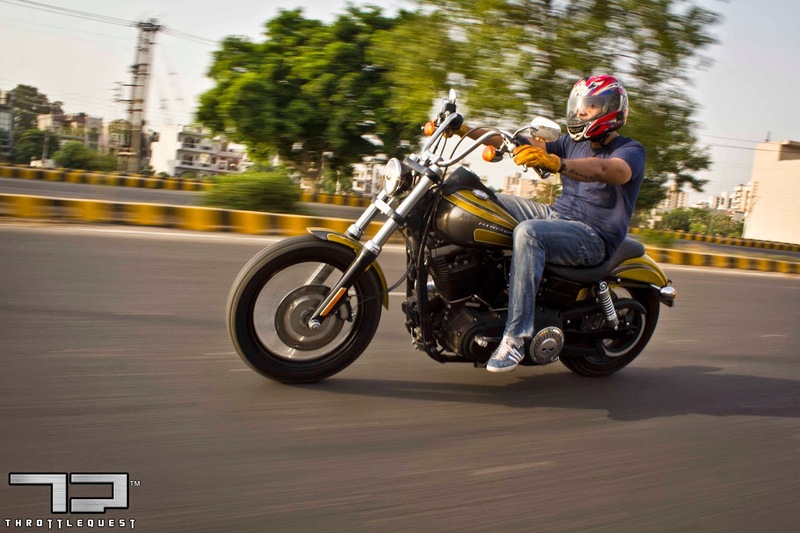 The Street Bob comes with mini-ape hangers which makes the bike a pleasure to ride in the city and on the highway. Long rides with stretched out hands would produce numbness, unless you’re commuting in the city where you can occasionally drop your hands at red lights. Cruise control would have been a good option considering it’s a “modern bike”. The feeling of literally hanging on the bars (not because the bike is fast) while riding on a low seat on any road was without a doubt the most comfortable riding position. On a lighter note, I firmly believe that this particular riding style was designed for the person who woke up the next morning, said bye to some else’s girl , staggered to his ape hanger bobber and rode away with no after thoughts or plan ahead. He just wanted to be seated and ride in semi-sleep mode and get to a bacon filled breakfast. The Street Bob comes with a 17+ liter tank for those endless rides. The slammed low rear suspension gives you a more laid-back riding position and style. 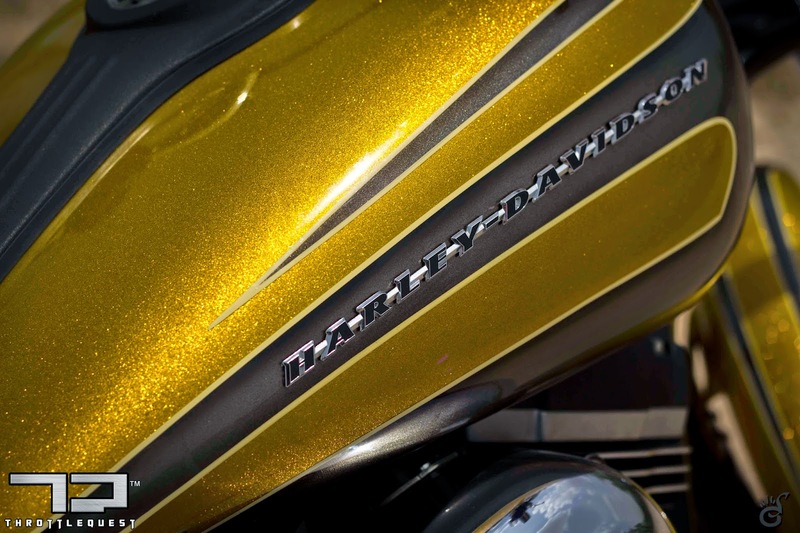 The one I was riding came in a Yellow/Gold Hard Candy Custom Flake job which wasn’t really one of my favorite colors but the BLING element while riding in Delhi on a scale of 1 to 10 – was a 10! This one you can’t miss in a crowd and you literally can catch folks giving a second look almost immediately followed by plenty or pointing and smiling. The bike also came with custom grips, front center mounted foot rests and primary cover. That said I loved the black spoke rims which are part of the iconic styling again. Harley offers the Street Bob at a very competitive price which essentially makes it affordable for access into Harley’s Big V-Twin line up. 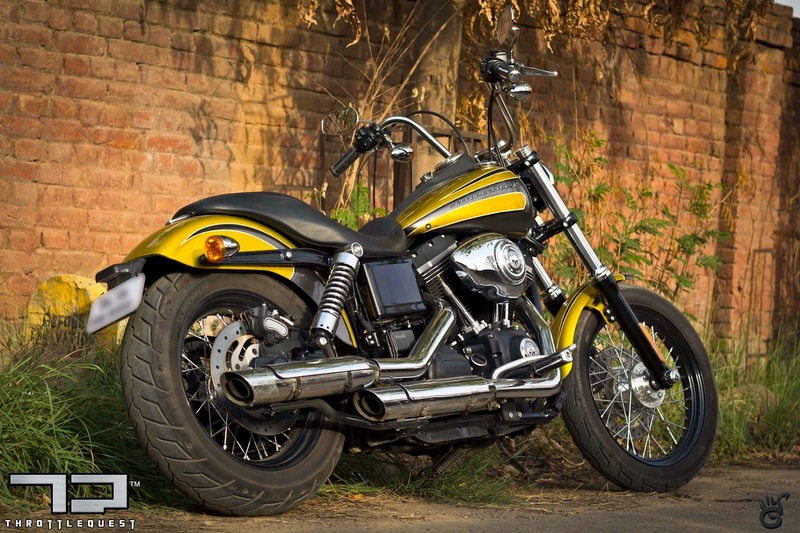 Harley introduced some refreshing changes in the 2013 model, including cleaning up the rear fender with a better tail light and moving the number plate to the side of the bike although the Indian version does not come with this. 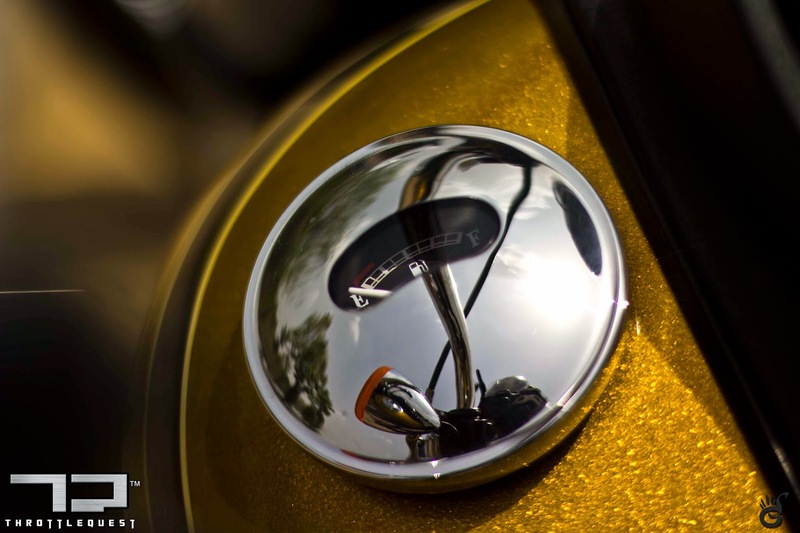 They also moved the ignition from the steering head column to the fuel tank which adds to the looks even though it has just two basic functions of turning on the fuel ignition to start the bike and turning the knob counter clockwise powers the accessories. Two words – brilliantly designed and very very very comfortable! Two words wouldn’t have done justice. Sitting at 120mm from the ground on Michelin Scorcher 100/90-19 front and a 160/70-17 rear tire weighing in at 305 kg at full capacity, these are very gripping while cornering. They definitely provide plenty of confidence to lay the bike down at triple digit speeds although I personally do not recommend this as I could have been plain lucky on the few occasions. This is just good to have info in case you’re getting away from the same girl’s dad or better half as mentioned above……what forgotten her already? You Harley rider you! 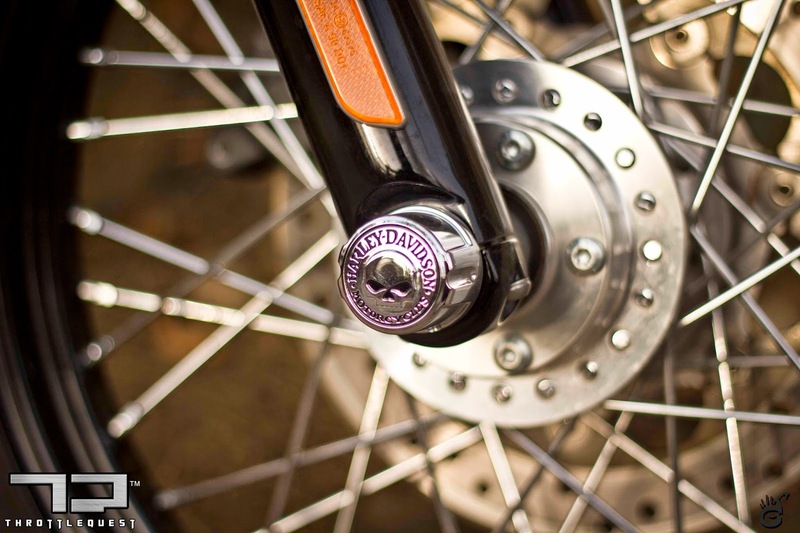 The rear adjustable shocks are coil over spring unlike the Fat Boy where the suspension is situated under the bike. One can ride this bike all day and not feel an iota of shoulder or back pain unless you complain anyways in which case it does not matter what you ride. I am 5’10” and this bike was tailor made for that height or a bit shorter. Anyone significantly taller should opt for the highway pegs or then go in for the stretched out foot controls that will provide ultimate comfort. 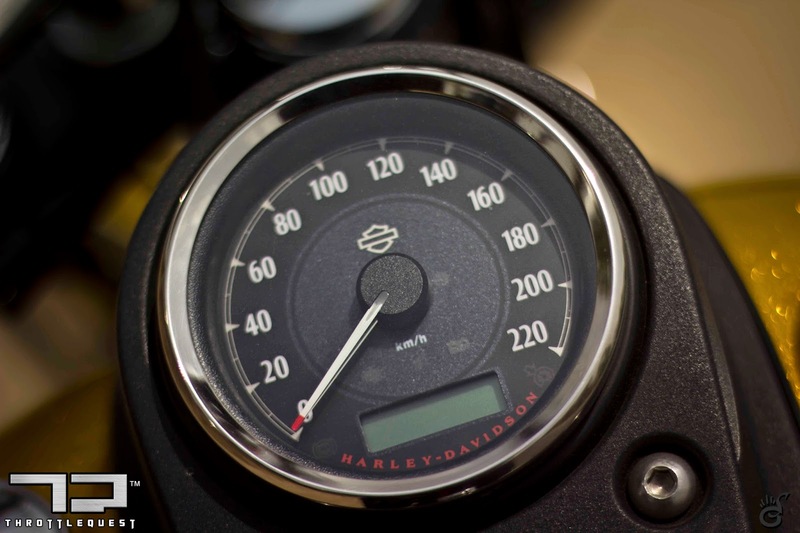 Harley has thrown in the 96 cubic inch 1,584 cc Innovation Series Engine mated to a 6 speed transmission producing 124nm of torque enough to give you confidence to keep revving through the gears without losing your dignity lying at the side of the road. 1st , 2nd, 3rd and I am already closer to the 140+km mark wow! I am not sure why it’s always so challenging to find power figures and basic tech info on any of the H-D models but I would imagine that the 96 Ci Street Bob pelts out just under 68 Bhp. 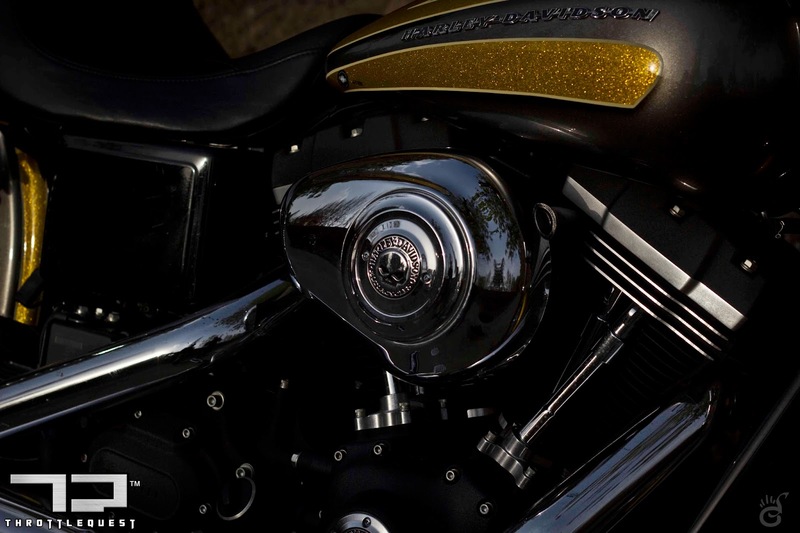 The bike I was riding was customized with a stage 1 air intake and their Screaming Eagle Mufflers that made the bike sound much louder than stock but without creating a nuisance to others. If you knew me you would know that I like to eventually reach high speeds ironically slowly, rather than have to whack the throttle and see your life flash before your eyes. I mean take it easy! the “triple digits” are not going anywhere, it’s you who has to get to them so it does not matter how long it takes. With this type of power, enjoy the time in between and I guarantee you will have more fun and will get off the bike with calmer nerves. No this bike does not produce enough of power to shoot from under your legs but loose the slightest respect for that throttle with hesitant braking while cornering and the ramp model like slim front tire will slide. Thumb the starter and you will hear the same refinement from Harleys bigger V-Twins specifically its bigger V-Twin sibling Street Bob that comes with a 103 cubic inch engine producing 132nm of torque (not available in India). 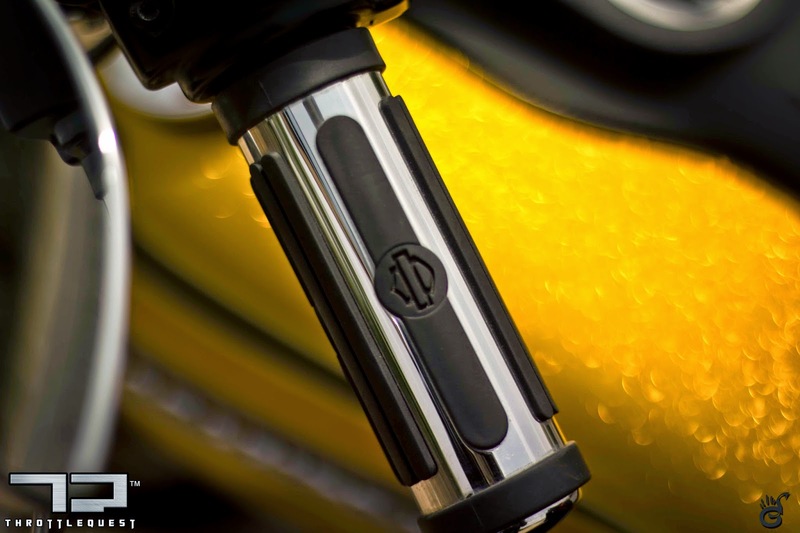 Apparently, this series and above comes with the Engine Idle Temperature Management Strategy (EITMS) feature which allows the motorcycle to automatically cut fuel and fire from rear cylinder when idling, which helps reduce engine heat felt by rider and passenger. However I am unsure if this feature is available on the models in India. I personally did not feel any engine heat while standing still or at stop and go traffic. 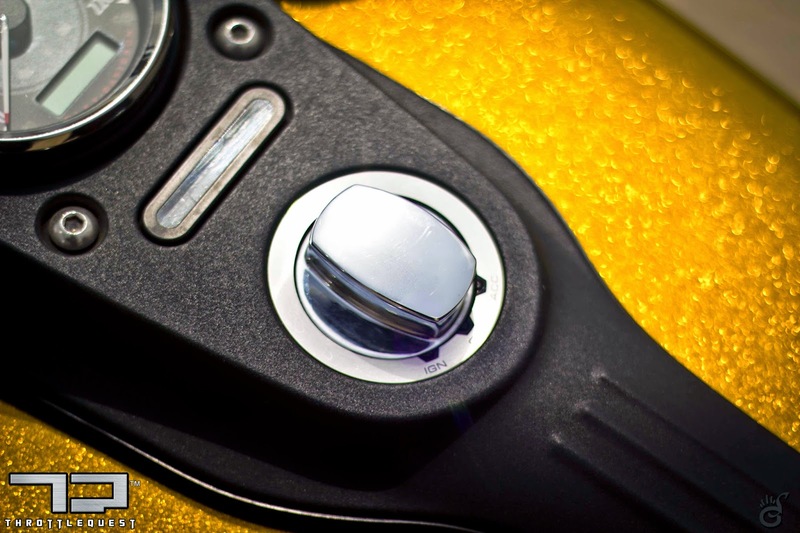 If you loved riding and everything that was associated to the activity, engine heat really does not matter. I feel in the long run you may see the 96 Ci being replaced with the 103 Ci as standard given the young H-D segment that the company is biting into. Tested in Delhi traffic, the bike performed well with lots of low end torque that does not require frequent gear changing in stop and go traffic. Low rpm riding never felt better. What you will need is a torque wrench in your hand to ward of all the 4 and 2 wheeled onlookers who inch closer to the Street Bob just to ask you kitni ki padegi bhai? (how much will this cost me?). 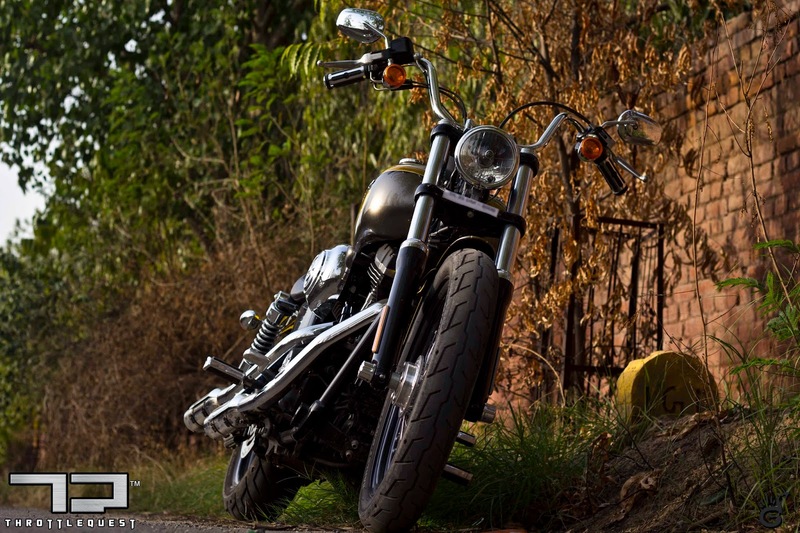 The Street Bob is different from any other bike out on the road. Even with the mini ape hangers, there’s a balance to it. The maneuverability and nimbleness once on the move all fall into place beautifully. This is one of those bikes that you want to be on when you’re taking a long left hander coming from between two cliffs and you see the sun up in front - it’s a concert. On the Street Bob you get mid mounted controls, a low seat without compromising on comfort. 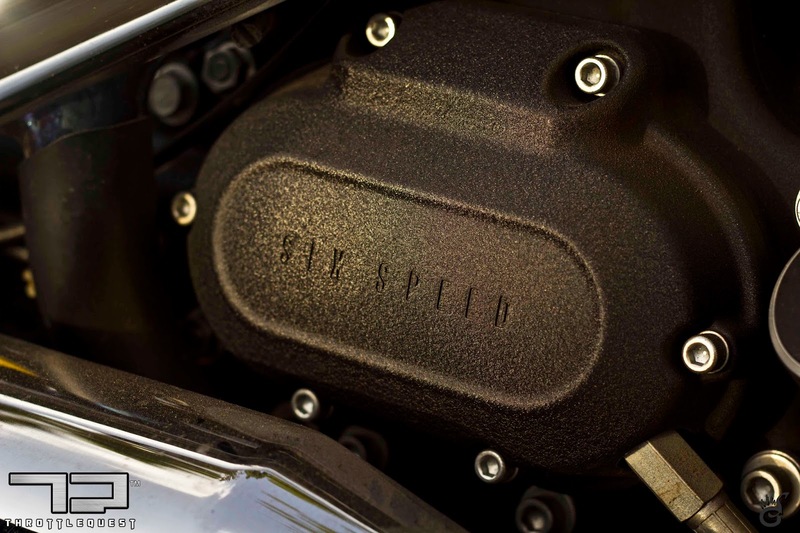 The Street comes with ABS has standard with a fixed front four-piston caliper and rear two-piston caliper setting which faces no problem in stopping this 600+ pound motorcycle. Like most modern motorcycles, the H-D Street Bob also comes with its fair share of switches and functions. An LED display panel on the fuel tank shows total mileage, trip meter, range available, gear and RPM in digital format and the time. All this can be toggled through by a simple switch placed on the on the clutch side on the handlebar. You also get Intuitive Controls which only means that the turn signals are self-canceling and, based on the speed and angle of the motorcycle, they switch off automatically. No they don’t switch on automatically, let’s not be silly now, you’d be half way in the turn if that were the case and eventually will end up kissing a street vendor post being hit by someone who probably never uses a turn signal himself but has now found an opportunity to pour out his anger on you, ahem Delhi. I can assure you that I did put the Street Bob through its paces for little over 200 kms in less than 2 days and at a very affordable Rs. 10,20,000 ex-showroom, the Street Bob is designed and tuned differently to create a unique riding experience. 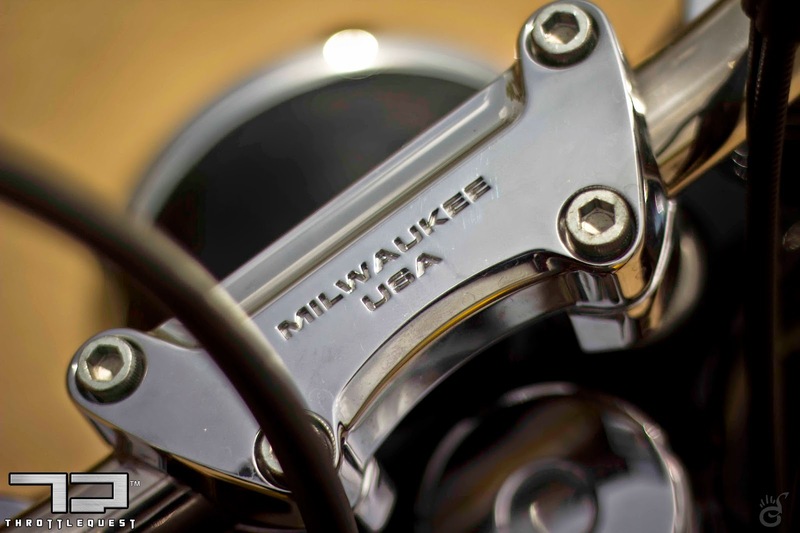 The rubber mounted engine produces the right amount of vibration so you feel you’re riding a MOTORCYCLE! Embrace vibration people, vibration is good. That said, sometime all the electronics in the world cannot replace the riding pleasure one gets when you know there is nothing assisting you. You’re definitely more connected and focused and look for small bits of feedback that help you improve your riding style and control. Buttons and switches are forgiving and make it safer for you. I am “ol’skool”, maybe I am a risk taker and want to learn the hard way, but that’s just me. After riding the Street Bob, I am going to admit it, sometimes I don’t want to get to point B like everyone else, its time you did so too. A shout out and thumbs up to Monish Nangrani, Milind Shah and Harley-Davidson India for providing us with this opportunity.